We've been following the progress on the rehab of a building that had certainly seen better days. 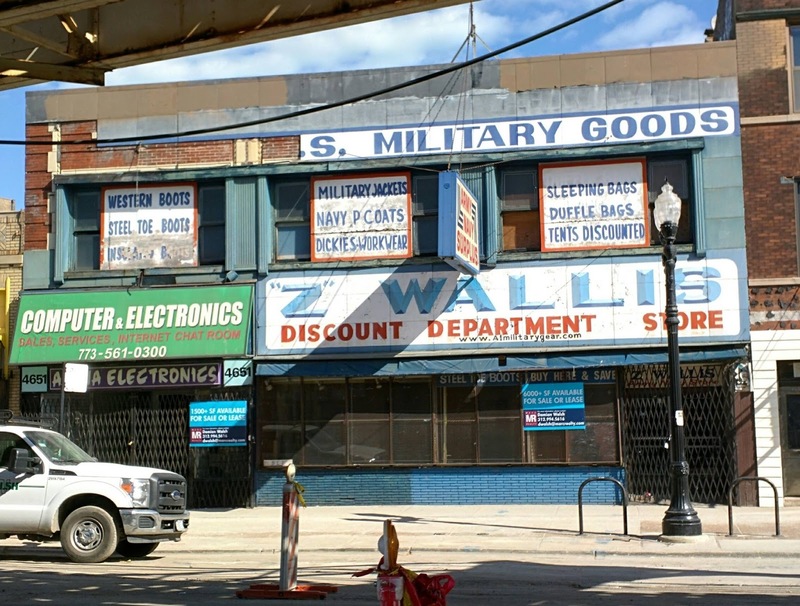 But now, the future looks even brighter for 4647 N. Broadway, a building that was most recently home to the Army Surplus Store for many years. MDT Architects and Formed Space painstakingly cataloged each piece of damaged terra cotta and brick and where necessary, refabricated it. The entire facade was removed, restored, and put back together. The building had been covered in blue siding since sometime BEFORE 1961, according to a photo on Chicago-L.org. 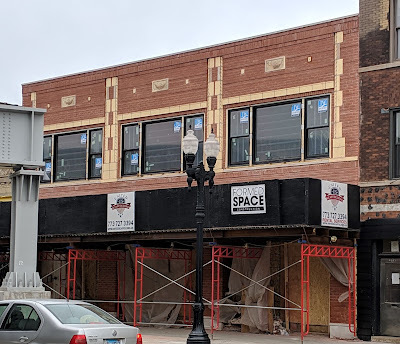 The restoration is winding down as second floor windows have been installed. First floor windows and doors are next on the list. 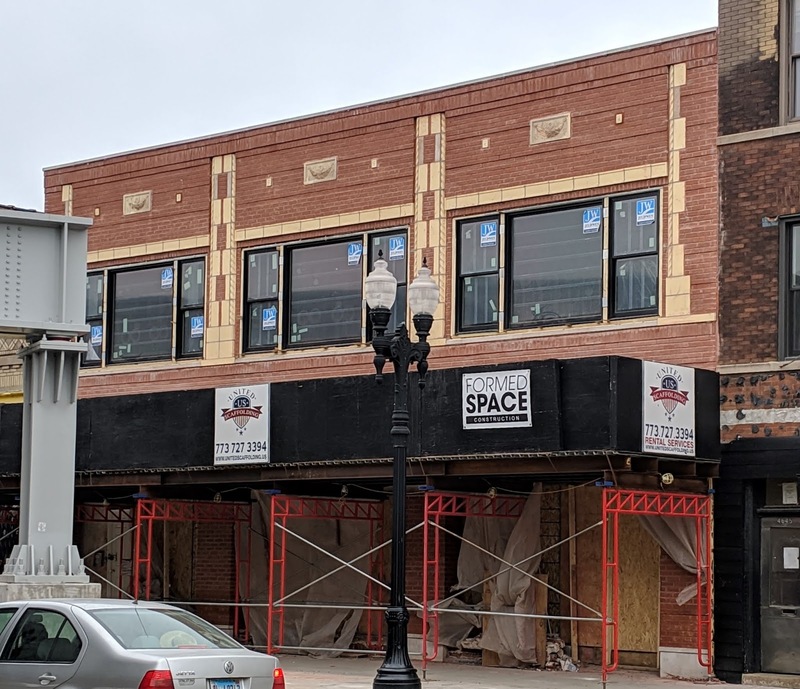 The building is slated to become communal workspaces on the ground floor, with the second floor becoming private offices along with a recording studio. We are told that the "Indian Chief" building at 4629 N. Broadway is next on the renovation list with work there beginning this spring.